EDAQS acquires next generation data science company NEXTdata and its associated technology. EDAQS announced today that it has strategically acquired NEXTdata, a next generation AI enterprise data processing startup, based in Düsseldorf, Germany. The addition of NEXTdata continues a series of strategic investments that solidifies EDAQS’s position in the market. Terms of the deal were not disclosed. The acquisition follows the 2015 strategic partnership agreement between EDAQS and NEXTdata under which NEXTdata has powered the technology platforms for EDAQS. The addition of NEXTdata and its technology NEXTApp will now make it possible for EDAQS to use advanced machine learning and data science at scale to analyze billions of signals that map to its analytics tools. It will further allow for the creation and execution of more strategically-driven engagement that industry executives have been asking for, and enable delivery of comprehensive end-to-end offerings that are designed to help customers reimagine the business and experience. The deal comes at a stage where EDAQS has formed an alliance with its long-term development partner Fashion One Group, who has taken over leadership within the big data business in fashion and who participated in the strategic acquisition. EDAQS and the Fashion One Group are jointly running the Alpha Fashion One laboratories, which is specialized in big data refinement and AI-supported quantification systems, including the IFDAQ and the Credit Rating and Reputation System MARS. 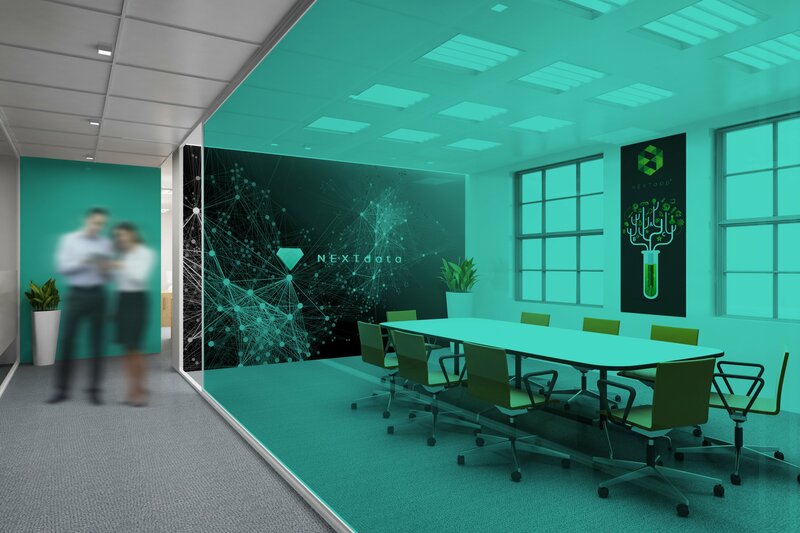 Founded by Oracle mavens and a team of data scientists in 2014, NEXTdata started as an academic project in Düsseldorf that specialized in next generation enterprise search to spur the global big data market in order to drive innovation and growth. In early 2015, the company moved into artificial intelligence with a strong backing of outstanding data scientists and investors. For more information, visit: http://nextdata.xyz. The Fashion One Group Int’l (FOGI) is one of the leading managements of digital fashion brands which enjoys exceptional reputation in developing new fashion platforms and technological innovations. The mission is to represent, promote and manage digital fashion brands and to control their persistent quality to provide the most accurate professional information and research results for the fashion industry. For more information, visit http://www.fashiononegroup.com.